When we open to receiving the gift of Self-Ascension, our soul re-discovers divine connectivity and clarity of purpose. In the Self-Ascended state, the chakras are aligned with unconditional love, moving from earth-bound orbs to divine swirls of Peace, raising your vibratory frequency to one of new dimensions and re-connections. 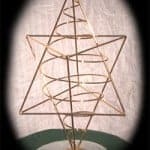 Traditionally, a Merkabah is described as the vehicle of light used by the Masters to connect with and reach those who are resonating with other dimensions. The Merkabah of Self-Ascension awakens this transformational energy and provides you with daily connectivity to nourish, explore and evolve your Peace, Love and Joy. 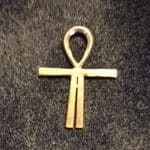 A gift to the planet from Archangel Zadkiel, as brought through by Sri and Kira, this loving representation is a powerful addition for your altar, home, office or anywhere. § Placed in your home it will energize your surroundings and provide soothing love space for your environment. 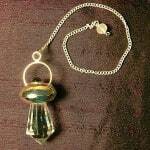 § Used for meditation you will find deeper peace, connectivity and spaciousness to receive divine information and clarity. 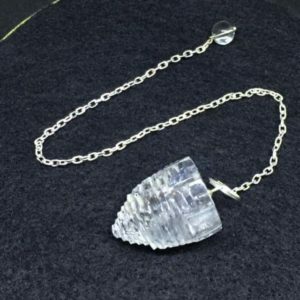 § You may also place a small box under the base to enhance the energy, (or to clear), crystals, sacred objects, or anything you desire. Each Merkabah is lovingly hand made and is 24K gold plated over copper, fully energized and has a hand selected temple Amethyst at the top. Your Merkabah is approx. 12” tall.